House church advocates want pastors to know exactly why they left the institutional church. 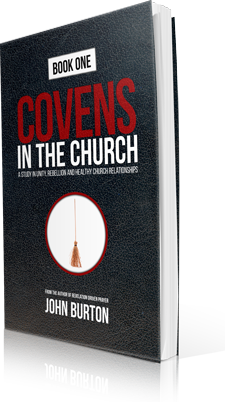 Most presume my book Covens in the Church addresses witchcraft, curses and attacks against the church. They are correct, but they misunderstand just what type of witchcraft I’m dealing with until they read the book—and are shocked. I deal with (among other things) those in the church who are spiritualizing their manipulation, control and rebellion by abandoning the local church, rejecting authority and church government and launching home churches without blessing or qualification. When birthed out of a heart that resists authority, home churches are little more than coven meetings. I have been a bold advocate for what many call the institutional church while shining the light of scrutiny on the exodus to house churches. It’s important for all who read to understand I’m a staunch supporter of local church pastors and any movement that attempts to circumvent biblical government must be exposed and renounced. I also want it to be clear that I actually do agree with many house church advocates on many points. They have legitimate disagreements with the way the local church is functioning today, and their issues have been largely ignored by pastors and those who are in leadership. Their evacuation out of the institutional church and into house churches may be the wrong move for some of the right reasons. There are serious issues to deal with, and pastors, it’s time to wake up and lead the church into the new wine skin. The institutional church is at great risk of irrelevancy and extinction. However, I’m not convinced house churches are the best move if they develop at the expense or exclusion of the local church. WHY ARE SO MANY REJECTING THE LOCAL CHURCH IN FAVOR OF HOUSE CHURCHES? What are some reasons people are choosing home churches over the institutional church? It didn’t take long for comments to start flooding in. It’s obvious to me that the anti-institutional church sentiment is unapologetic and passionate. The reasons they shared demand some analysis. I should make it clear that there are most definitely house church movements, when rightly aligned in the government of the city church, that are biblically appropriate and full of fire and power. I’m not anti-house church. I’m anti-rebellion. As a third generation pastor, who has seen both my parents and grandparents pour themselves out for the local church, selflessly giving and loving the body of Christ it saddens me to see so many abandon what so many paid such a steep price for in faithful service to the Lord. I get it. No church is perfect. Be it a home church or an “institutional“ church. Let me tell you though, it is not easy being a pastor in this day and age. Everyone has instant access to the greatest and best preachers and teachers out there via social media. I know for myself and my husband we are revivalists. We desire a move of God, and give space and place for the Lord to do what He desires. I see many people post online how they’d love to find churches that do that but then in real life we have people come in, decide it’s too steep a price, and go to an easy believeism church or someplace they can be hit and miss with no accountability. The reality is that for the presence and the glory of God to invade an atmosphere it’s because someone has paid a price for it. In intercession, fasting, years, faithfulness. It’s true that people can get lost in a larger church, especially if they are gathering people together just an hour or two a week. The Sunday service typically doesn’t provide opportunity for people to authentically connect and develop relationships. Those who are yearning for deeper friendships can feel their frustration grow every week as they shuffle into a row and sit through a programmed service, only to shuffle right back out and into the parking lot. I agree that godly relationships are valuable, though I believe people’s frustration can be misplaced. I affirm the desire for relationships can be overwhelming, and loneliness can eat away at us if we don’t handle it rightly. However, the purpose of the church, the Ekklesia, is not mostly to make friends. It’s to gather together as Believers under apostolic leadership and vision to pray and prepare for Kingdom advance. Relationships will never be developed on a Sunday morning. There’s no way. They aren’t supposed to. And, pastors, please abandon all attempts at trying to fit them in. The three-minute window you give people to walk around and greet one another is a sad and unnecessary attempt at nurturing togetherness. The right approach is to admit the Sunday services are meant for prayer, worship and apostolic instruction. The fellowship can happen at other times and in other places. Any attempt at fellowship on a Sunday morning is misguided. For those disappointed because the pastor won’t connect closely with you, I have some news for you. Your pastor isn't supposed to be your best friend. He's probably not going to be your friend at all. He may rarely connect with you personally. It may never happen. His job is to pray, study the Word and facilitate an atmosphere of intercession and equipping. His relational energy will be reserved for just a few, just as Jesus modeled. Those who are prone to rejection, or those who presume the church is supposed to be ultra-relational, will suffer in such environments. RELATED ARTICLE: Do you go to church? Read this. I don’t know when it became the church’s job to become matchmaker, developing circles of friends and facilitating the relationship building process. If people want to hang out, let them connect in the prayer rooms and on the mission field and then head out for coffee or initiate a Bible study on their own time. It doesn’t have to be organized, and it shouldn’t distract from the greater mission. Of course, there’s nothing wrong with the local church hosting small groups. They can be enriching and very good. The problem is when the living room instead of the prayer room becomes the glue that holds the church together. Relationships are actually critically important, but they can’t be the premier goal. The church has a much greater purpose. There’s a world to change. There’s revival to pursue. If people trusted that process, they would develop life-long friendships from the fox hole of ministry. The first church was birthed just like that. They are tired of unnecessary hype, productions and programs. Every few weeks it seems there’s a new project or ministry focus that is instituted just to prove the church is getting bigger and better, is alive and moving forward. People can see right through these attempts and, quite frankly, are tired of investing so much money, time and energy for such a small return. They have had enough of the “bigger is better” mindset and simply want to give themselves to simple, organic church life. The stage productions, expensive programs, lights, smoke and Hollywood style video presentations might look good, but the house church crowd is rejecting them wholesale. The vision the pastor might have for such a ministry isn’t shared by them. I’ll be the first to argue that we need to shut pretty much everything down and simply gather together to pray. Filling the calendar with ministries, groups, programs and other endeavors without clear vision and buy in from the people is simply not attractive or, in most cases, effective. Pastors, it’s time to get back to the basics. It’s true that those who have been conditioned by media and today’s culture might reject the basics, but we aren’t here to pander to culture. We are here to shake the nations. So, does this mean the pyrotechnics, media and high production value are inherently evil? Absolutely not. Those who are abandoning churches simply because a church has implemented such tactics need to re-evaluate their heart. It’s not okay to abandon ship just because you don’t appreciate this style of ministry, but I can’t deny that’s it’s your right to be troubled if the theatrics veer the ministry off it’s proper course. I’ve often said that I despise hype and exaggeration. When we employ such psychological methods to project our efforts beyond where they actually are, we limit God to our own imagination. We get overly excited about what we can produce instead of allowing God to blow our minds! They want to be released to minister according to their giftings. This argument is common. People are discouraged because they cannot function according to the gifting God has placed within them. They are chomping at the bit to be activated. They were created for a purpose, yet, so often in the local church, they are not released to move in their ministry. As one who has planted and given senior leadership to churches for years, I’ll be the first to come to the defense of local church pastors. Just because you have a gift and calling does not mean you are ready to function in it in the church. There are a lot of broken, immature, untrained, prideful or simply weird people out there who should not be given a place in public ministry—until they have been made ready. There is significant process involved in the ministry development incubator. If you aren’t willing to submit to authority and give yourself to the process, and allow significant time to pass as you die daily and gradually grow stronger, your ministry cannot be validated. Many people are launching house churches because their ministry was not confirmed in the local church. This is where a lot of immature people are launching premature ministries. Their authorities have determined they are not ready, but they turn aside from that counsel and move out in childish rebellion—all in the name of spiritual freedom. That being said, pastors, you must do a better job at equipping the saints. While there are many pastors and church leadership teams that excel at this, most don’t. The church only goes as deep as the majority will allow. The house church crowd is typically a spiritually hungry one. We can’t deny that most local churches simply don’t go deeper than the majority will allow. I’m not talking about seeker sensitive churches, I’m referring to Spirit-filled churches that promote exuberant worship and devotion to Jesus. There are many churches like this that will just go so deep. There’s a limit. They know if they get as passionate and as supernaturally infused as the zealots in their midst, the majority will leave. Pastors, you must wake up! Let the pretenders leave! It’s time to bring the fire, the shock and the awe back into the church! How can you fault people who desire to leave because they want to experience Jesus more than you do? For those who are hungry for the deep, I won’t pull any punches. This alone is not a reason to leave a church and to start your own. You can go as deep in God as you want regardless of how far your church goes. I challenge you to burn hot, pray without ceasing, stimulate dreams and visions and raise the temperature of every atmosphere you walk into. Will God eventually move you on to another church or to build a new ministry yourself? He most certainly may. Just make sure you handle the move with integrity and honor. If your current church is apathetic, you can be sure God will bring resolution one way or another without your intervention. Being guilted into serving more, giving more and building the church. House church people generally are more interested in Kingdom activity than the local church. They are more passionate about God’s expression among a people in a region than a local ministry. They are tired of building a single man’s kingdom by giving and serving and enhancing that local church instead of investing in the advance of the Kingdom of God. Again, as one who has been involved in the church for decades, I understand. There’s so much pressure today to grow big ministries, to be successful and to keep everybody active and on task. Leaders want people to take ownership. In our American culture we are individualistic and laser focused on whatever project we deem most beneficial to us. The problem? There is much more that needs our focus than a single local church. I believe it’s healthy and important for people to have a home church while also engaging at a high level in other local churches, ministries and Kingdom activities. When I was giving leadership to churches, I would strongly encourage people to frequent other ministries in addition to our own. Investing in the city church is more important than the local church. I started this message by mentioning my book Covens in the Church. That book as directed at those who wrongly abandon assignments for the sake of pursuing their own spiritual endeavors. 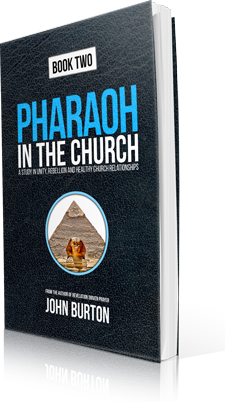 This point requires I highlight the follow up book titled, Pharaoh in the Church. This book was written to pastors who are so focused on building their own ministry that the people are wrongly used, expected to continually serve, give and sacrifice for that never ending project. Pastors, right or wrong, this is another reason people are leaving your church for the more efficient, simple and authentic house church. The power of God isn’t there. I’ll admit that I’ve been to some small group meetings that are electric! The Holy Spirit was blowing through that living room or office space like a wind and a fire! When you gather people who are all likeminded and hungry for Jesus, you can’t help but to see God respond. I’ve been to local church meetings like this too, but they are rare. How often do you leave an institutional church remarking about how powerfully and supernaturally the Holy Spirit moved? Some of you reading this are truly blessed, and you’d respond by saying, “Nearly every Sunday!” Most would have to honestly admit that it’s extremely uncommon or nonexistent. Understand, I’m not talking about a great worship experience or an encouraging message. I mean, when is the last time the supernatural presence of God flooded the place to such an extreme that people were trembling, crying, and laying out all over the place? This should be the norm for the church. Pastors, until you can steward this call and facilitate a white-hot atmosphere of Holy Spirit power, it will be easy for people to be disappointed in your church. Services are predictable, overly structured and polished. People who are hungry for authentic encounter with Jesus are done with perfectly orchestrated worship sets and precisely ordered services. House churches offer an opportunity to ditch the set lists and eliminate the clocks in favor of spontaneous, unpredictable and untimed worship, prayer and teaching along with a fervent pursuit of an ever increasing tangible presence of the Holy Spirit. Instead of the spit and shine, they long for the messy, unpredictable, uncontrollable move of God that simply won’t allow for manmade organization. How often are the people in the pews crying out for the pastors to get out of the way and to let the Holy Spirit move? It’s time we admit that our messages really aren’t that great, and our worship sets aren’t that special. Let’s move aside, hit our knees and let the Holy Spirit run our services! I’ll tell you this, when it happens, people won’t be frustrated and disappointed, fleeing the church, they’ll be flooding out from wherever they are to the place where the fire is burning! The truth is it can be easier to fan the flames of revival in a small house church than in a local church simply because local churches aren’t typically focused on the remnant. They want the bigger crowds and are willing to compromise to ensure the people stay connected. Those in house churches aren’t focused on numbers or on drawing the seeker. They simply want God. Period. They have no order of service. They pray. They cry out. They minister to God and to each other. While I acknowledge this reality, my belief is that we need to see such a remnant focus in the local church! I believe apostolic hubs, houses of prayer and house churches have emerged because local churches have abdicated their responsibilities to be centers of prayer and Kingdom advance. They have become fully local to the detriment of the city vision. 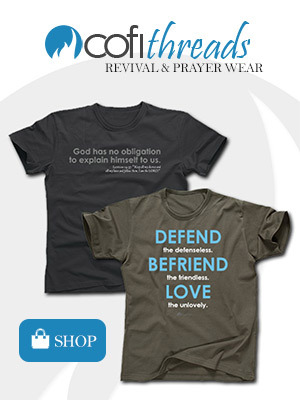 Prayer has taken a back seat because most resist such a devotion. I love houses of prayer, apostolic hubs, para-church ministries and even healthy, rightly aligned house churches. I also love the local church and am campaigning for it to break out of the old, tired and predictable in favor of a Holy Spirit who cannot be controlled. Pastors who are functioning out of ability, creativity or charisma instead of anointing. Stage shows seem to be overtaking much of the church today. Instead of contending for hours in the prayer rooms, pastors are often functioning from their creativity and charisma. The anointing simply isn’t intense. They haven’t been branded by the fire that can only be found at the altars. How rare it is to see the man or woman of God trembling behind the pulpit after emerging from an encounter with almighty God in the prayer room. People can see right through pastors who are operating out of gifting instead of anointing. It’s leaves a very bad taste in their spirits. They want to be led by people who are continually encountering Jesus, people who aren’t so confident in their giftings that they simply put together “creative” programs, conferences, sermon series and whatever else they can orchestrate. That being said, house church friends, I challenge you to re-read the appeal from Debra at the beginning of this article. Have enough compassion for God’s leaders that you don’t rise up in pride, determined to be more spiritually driven then they are. In fact, I bet most house church people are no more spiritually devoted than most local church pastors. A lack of focus on the greater church. House church folks don’t like to be limited in their church experience. They don’t value, and actually devalue, the demand many pastors have to commit fully and only to their specific local church. It stinks of personal kingdom building instead of truly being Kingdom minded. As I said above, we need to encourage people to invest in a variety of churches and ministries in our region. In fact, pastors should be very active in supporting other churches and ministries. Lead the people in your church to conferences, prayer events, special church meetings, revival services and strategic Kingdom happenings in the region. House churches can easily become equally unhealthy when they become inward focused and disconnected from the greater city church. In fact, many, many house churches regularly fall into this trap. Out of one side of their mouth they confess to being “Kingdom focused” while on the contrary they never visit and lock arms with other local churches, ministries or functions in the region. They are plain bored with the old wine skin. Church as we know it is done. This is the driving message behind my book The Coming Church. I’ve preached about this, written about this and led movements with this in mind. The old wine skin must give way to the new. The house church, for many, seems to be a logical step out of the old and into the new. The reality is that the new wine skin looks nothing like anything we see in local or house churches. However, one key component that many house church enthusiasts may not be too excited about in the new wine skin is: authority. The government of God will be firmly established and the five-fold ministry will be foundational. No longer can people just do as they please presuming that God is their only authority. We will function within Kingdom government, and we must acknowledge the various leaders in the region. HOUSE CHURCH OR LOCAL CHURCH? Both. Neither. Actually it’s the city church we should be advancing. Local churches are important as larger groups of people lock in to contend for revival and advance the Kingdom. Smaller churches that are more keenly focused will exist in homes along side the rest of the church of the city. Apostles, prophets and other leaders will serve with sobriety and boldness. The key is having pure motives, honoring all and being faithful to the calling and the process God has given you to steward whether it’s in a local church, house church, apostolic hub, house of prayer or other community of faith. We all want revival, or, rather, we all think we want revival. We crave God’s presence. We want the fire. But, let’s all be challenged. When the fire comes, will we honestly allow it to consume us? Will we stay devoted, humble and surrendered? Or will we rise up in pride, dissatisfied with the way things are unfolding and move out in rebellion to start an alternate, individualistic, isolated, coven in the church?